You have an important role in making your healthcare safe. Memorial wants to ensure that you and your baby are safe during hospitalization. Ask questions. Please speak up if you have questions or concerns about your healthcare. We are obligated to protect your privacy and to keep health information confidential. Expect answers you can understand. If you need information in another language, please let your caregiver know, and we will use an interpreter or get written materials in your language. Do not be afraid to ask about safety. Share all of your health information and medications, including over-the-counter medications, so you can receive the safest care. 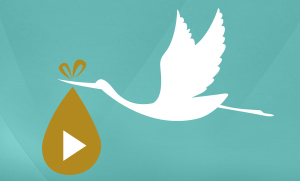 Educate yourself about pregnancy, labor, delivery, postpartum, and newborn care. Make sure to understand pain management options, infection prevention procedures, and proper hand washing. In order to provide a safe and secure environment for mom and baby, Memorial Family Care Birthing Centers have chosen to become “locked units.” There is one entrance into the department for patients and visitors, and the doors must be unlocked by staff only. 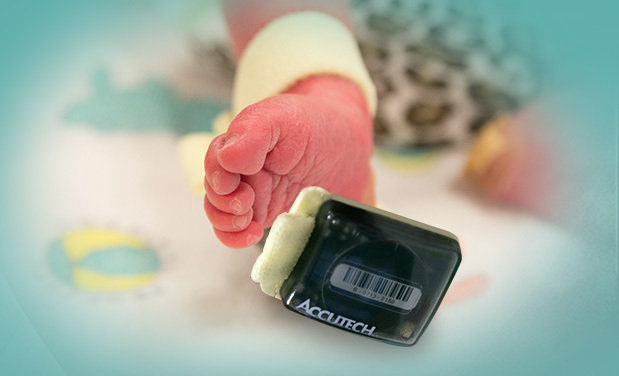 Mother, birth partner, and newborn are banded with a unique security identification number, and the newborns are banded with a security tag applied after birth in the parents' presence. This band sounds an alarm should the baby leave the Memorial Family Care Birthing Centers prior to discharge. All members of the department's staff wear a special photo ID tag designated for Memorial Family Care Birthing Centers. Access to the nursery is limited to staff, mothers, and birth partners with matching identification numbers. In addition to identification, we encourage safe infant handling procedures. This starts with proper hand washing, or sanitizing hands with cleanser provided in all rooms. Anyone handling or holding the baby should be asked to clean their hands. We discourage walking in the hallways with your newborn. If you would like to walk in the hallways, please transport the newborn in the rolling crib. The temperature is cool within the hospital. Receiving blankets are provided to help your newborn maintain a healthy temperature during hospitalization. Please do not place extra blankets or stuffed animals in the newborn crib. These can pose suffocation risks to newborns. 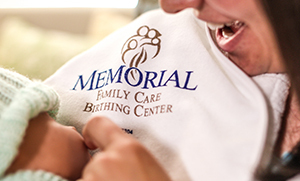 If you have questions about Memorial Family Care Birthing Centers, they may be answered here.